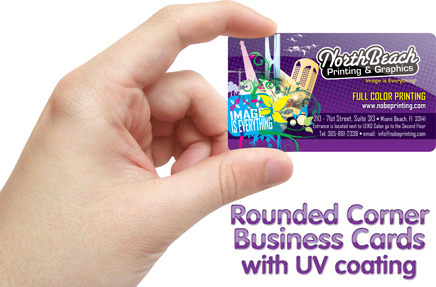 Your business cards say more about you and your business in less than 5 seconds so why not IMPRESS THEM! We offer a variety of premium stocks and finishes so your customers will be impressed with the vibrant colors and the lasting impression that these cards generate. From Silk lamination to Shinny foil our cards are worth their weight in gold. Printed and shipped within 2-7 business days – depending on stock. Artwork dimensions must be set up exactly 3.625″ x 2.125″. Prices do not include design or shipping. Need Custom Design? Contact us for a custom estimate. Shipping prices vary by weight and location. Contact us to design your custom job – we are here to help your business grow. FILE SPECIFICATIONS All files must be submitted in 300 DPI – CMYK – PDF flattened format with an 1/8″ bleed all around. Please do not include white area, crop marks, registration marks or any other marks. It does not matter which program you use to produce the image. There are addtional charges if we have to set up your job as per our standards.